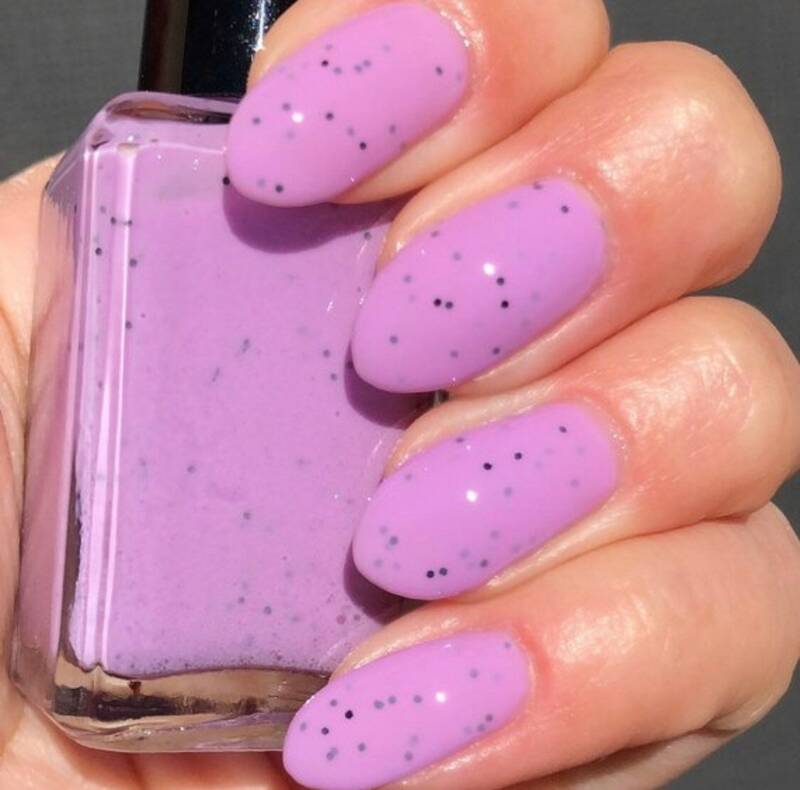 This is a lavender crelly polish with sparse black glitter throughout. The swatches show three coats with top coat. Full size, 10 Free, hand mixed polish.